I get the general impression that there is a consensus about Albion being the best of the best when it comes to production swords (maybe I am wrong?). What I notice, however, is that Albion is not really in the business of making daggers. I also do not notice that there is a similar consensus about dagger makers. I'm curious about what people have to say about this. Is there an Albion of daggers? Is there a bunch that are on equal footing? Why I am asking this: I'm currently selling off my Cold Steel and I am looking to upgrade. 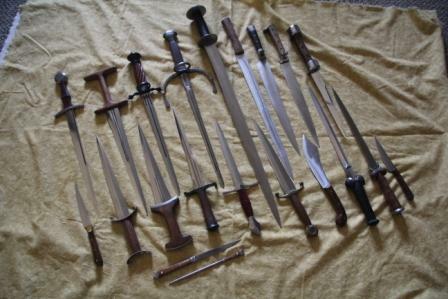 I think I am going to get a couple Albion swords (regent and soldat), but I'm looking around for a couple of daggers. I'm having a lot more trouble. I am thinking about a rondel and a baselard/swiss dagger. The ones I like the most visually are from Lutel. 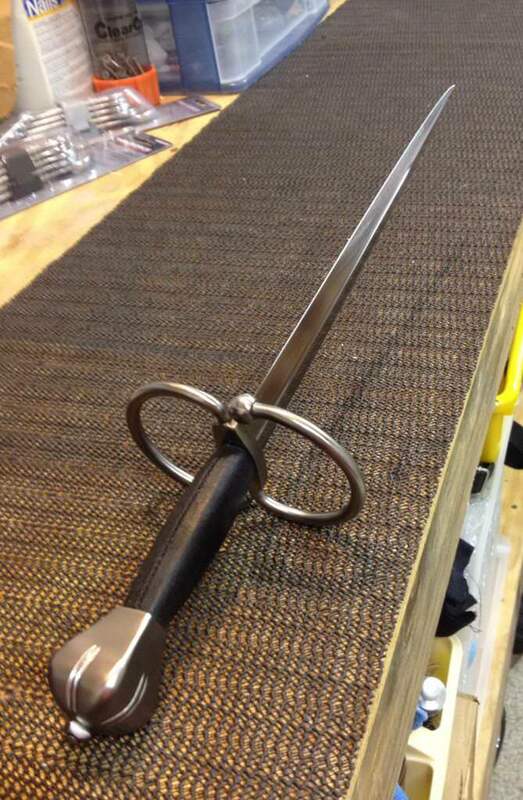 I think Lutel swords are not really my style at all (especially the leather wraps on some grips). Their daggers are a different story (I like their maces too). Would Lutel be in the conversation? Who am I overlooking? The only other one I was really thinking about was arms & armor but I am not really a fan of their offerings in the dagger arena (I like a couple their spears though). Tod's Workshop is what I would consider the Albion of daggers, definitely recommend him. You would be in for quite a wait if you order a bespoke dagger but they are very worth it, his cheaper daggers on his cutler page are also great however and come with little to no wait time and much less cost, but still great quality. For production medieval style daggers, my order would be Tod's Stuff, Arms and Armor, then Lutel. Arma Bohemia makes some nice ones too, but my baselard from them took a while to get. Really, you just have to look to see who is doing designs that you like. All four of these I would buy from again, but I will likely limit to Tods and A&A for production work. For custom work I like Josh Davis and Fabrice Cognot, and then also Tod's. I think A&A would work with you on a custom dagger as well. 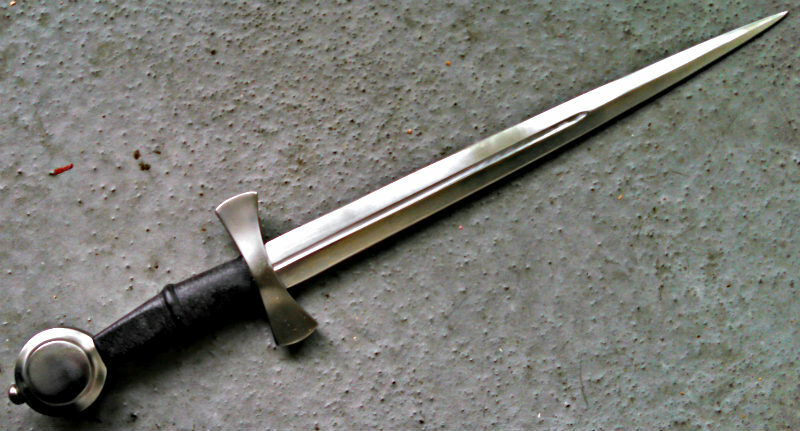 There are a few other makers of swords I'd like to see if they make daggers. Then there's seaxes which are a whole 'nother obsession. Any reason you'd limit to Tod's Stuff and A&A but not Lutel, J? Nice collection by the way. That baselard 3rd from the left on the bottom, where is that from? The Lutel stuff is aesthetically calling my name. Maybe I should put it this way, any reason I shouldn't buy Lutel daggers (is the quality difference really that high between them and, say, Tod's stuff in terms of daggers)? I also need an ear dagger! I'll probably work with Tod or Josh Davis for one of those some time. Daggers are great. Lots of variety and you can buy three or four of them for the price of a sword, but same quality. If there's one by Lutel you like, you probably won't be sorry. Which ones from Lutel do you like? I guess Rondels are pretty common, but I really like that this blade triangular AND equilateral triangular (a lot of rondels seem to be Isosceles triangular). It is pretty hard to find switzerland daggers (at least nice ones). That is kind of why I like these from Lutel and I am wondering if there are better options I don't know about. 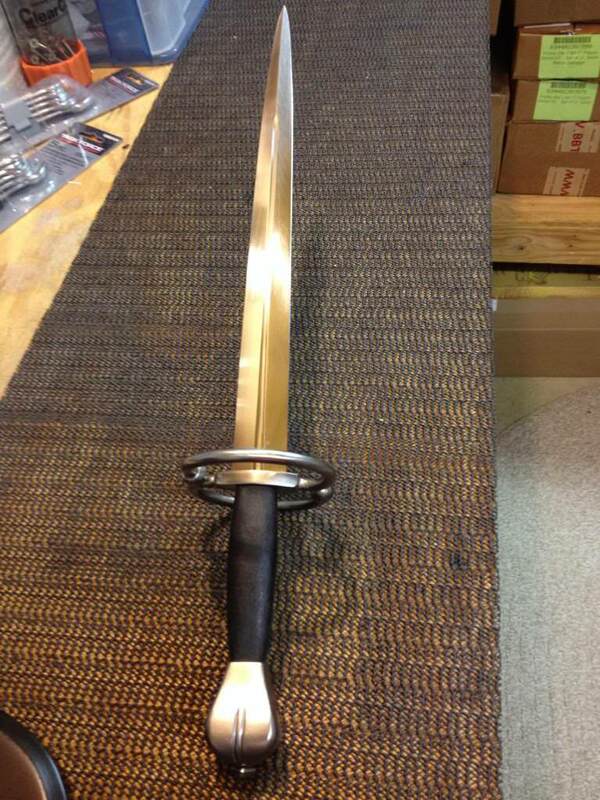 I guess Todds Stuff has some equilateral triangular bladed rondels and his swiss baselard is really good too. So I suppose those are options. I wonder if the quality difference would really be significant? Seems some people think so. I do like the look of the lutel slightly more with the swiss dagger at least. I guess I should ask about maces too. The reason I like the Lutel mace is that it is very clean looking (actually all the Lutel stuff seems to be generally very sharp). A lot of maces are very roughly finished. The above recommendations are your best bets. I do urge you to look at the English Cutler offerings, one of Tod's side companies. 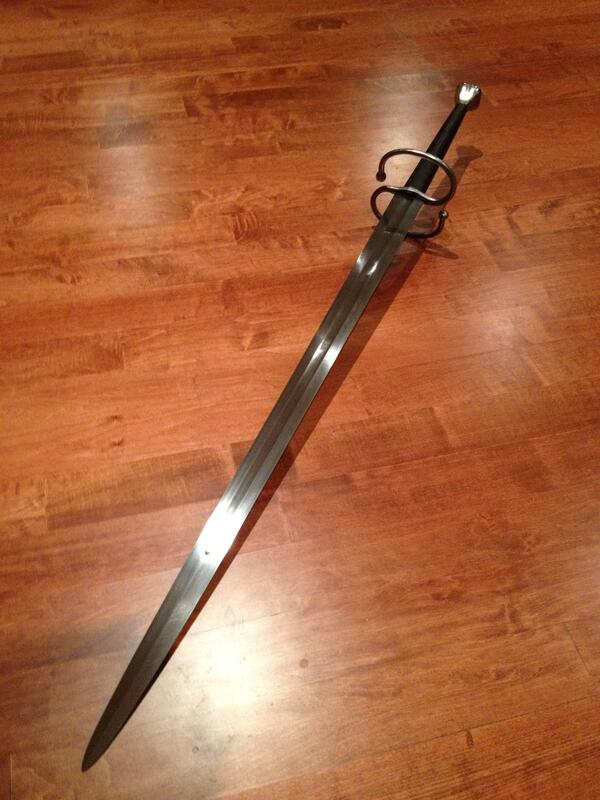 I have an awesome Rondel dagger from EC, and it blows away the lesser stuff out there, for a good price. The thing you have to remember with Tod is nothing is limited to what is on his site, if you want an item made that he has not made before just contact him with pictures and examples, he'll be happy to work with you on the design and to give you exactly what you want, including the sheathe. So if there is anything very specific you want, that is what I would do. 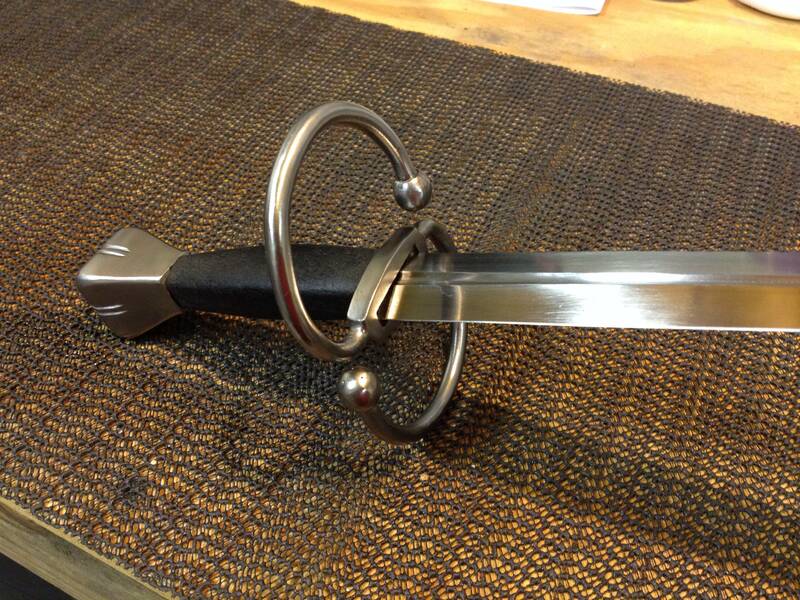 This is what I did with him for my Landsknecht dagger and it turned out wonderfully. Tod's custom work really can't be beat. Arms & Armor can make just about anything too as a custom order but it may take awhile to get. Lutel makes some pretty good production stuff but their entire line of products is a bit too machined-looking for my tastes. They look quite modern. Their dynamics/weights/and other properties are also a bit lacking as far as historical accuracy. The nice thing about going with Tod or A&A is that you can get unique pieces that aren't owned by everyone out there.